Don’t Let Your Well Catch You Off Guard. Homeowners with a well as a water source are recommended to test their water at least once per year. Culligan Water’s home water analysis tests your well for traces of lead, arsenic, nitrates, e.coli and other organic contaminants*. Limited Time Offer! Available Now for Only $75.00 * Limited time offer from your participating Culligan dealer. Contaminants may not be in your water. 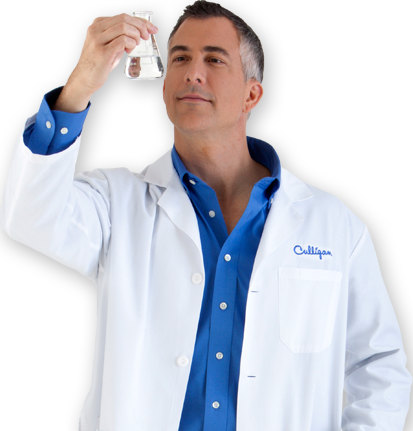 A great test at an affordable price, performed and hand delivered to our lab by your local Culligan Water team. Get our FREE water analysis to test for hardness, iron, chlorine, sulfur and toxins.